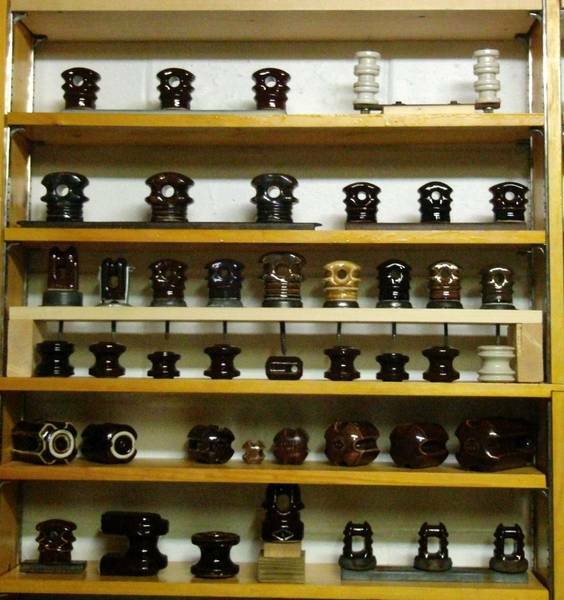 This is a picture of more National Metal Molding Co. lags and some small Joslyn spools. Also pictured is some Whites and PP Inc. strains. On the bottom shelf are Pieces marked with a L in a Diamond which I have yet to find out who the company is. They also have a I within a C Contract mark which stands for Colonial Insulator Co. who made the porcelain insulators for the L in a Diamond Co.